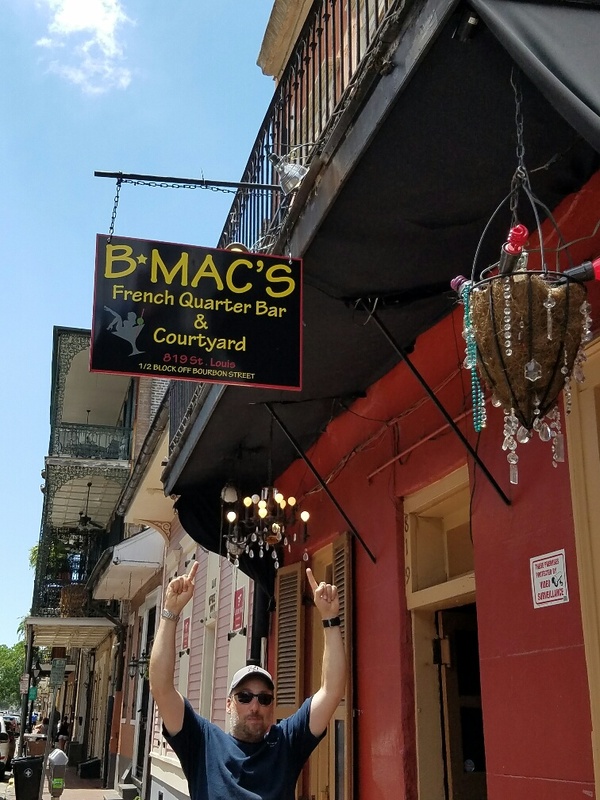 The Big Easy! – Live MoHo! When we contemplated our route, we knew that one big appeal of heading east would be New Orleans. I had never been to the Big Easy and Heather went a very long time ago. 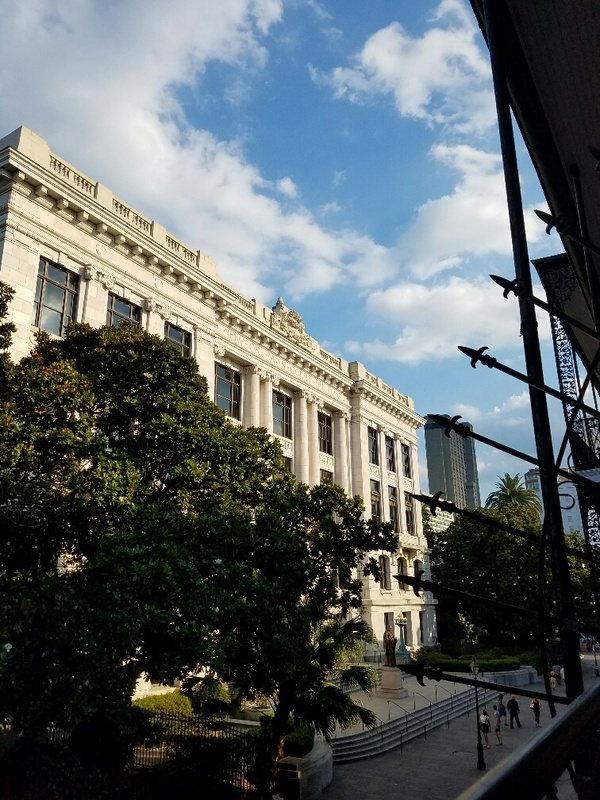 Having heard rave reviews, the chance to visit New Orleans – even in the summer heat – was exciting. Campgrounds are limited. 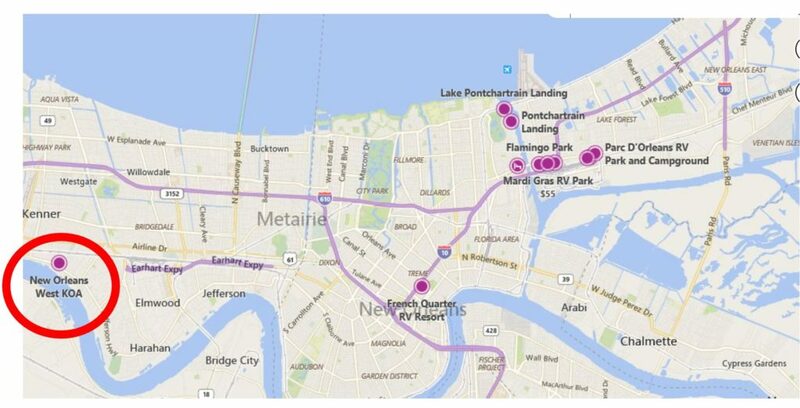 There is only one RV park in walking proximity to the French Quarter. French Quarter RV Resort. That proximity does not come cheap. Rates start at nearly $110/night! We considered it but quickly looked for less expensive locations. There aren’t a lot of choices, surprisingly. 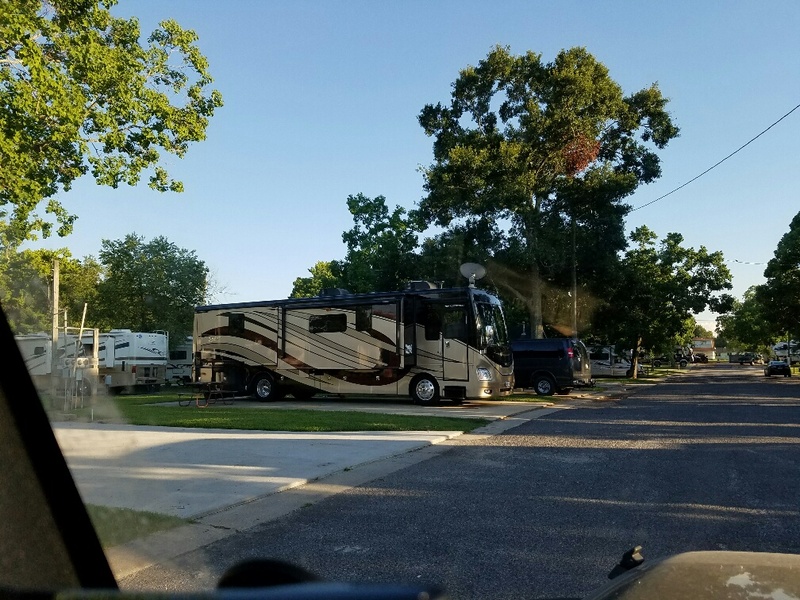 The others were all at least 5 miles away, and the Lake Ponchartrain Landing is a combo RV park and Marina with prices starting in the upper $80s – low $90s. A few of the others were around the $50 – $60 mark, but got mixed (or bad) reviews. The KOA New Orleans West, in River Ridge, looked like a good option. Only 10 miles from the Quarter (little did we know about New Orleans traffic), decent reviews, and reasonably priced at around $50/night. Well, reasonably priced for New Orleans. Those of you looking for a bargain campsite or even free camping will want to steer clear of New Orleans. Getting to the KOA was a bit of an adventure. Google Maps wanted to take one route. Apple maps suggested another. The KOA instructions had a third route which we chose to follow. I mean, they should know best right? Almost as soon as we pulled off I-10 our RV GPS began yelling at us that we had exceeded the weight restrictions for the road we were on. And it seemed plausible considering the road was old, narrow, and went right through the historic heart of River Ridge. Oh, and across 2 sets of railroad tracks neither of which had a light or a gate! But, we never saw any posted weight restriction signs and we figured we were not the first big rig to head down to the KOA. So we continued. The KOA is kind of hard to find and we nearly missed the turnoff. Since the sites are all back in, we unhooked our Jeep in front of the office and then pulled to the back row where our spot was located. A very friendly dude directed us in and we backed into the spot with no trouble. The campsite was typical KOA, if a bit nicer. By typical I mean, older, smaller sites, lots of families, but clean and well run. Their WiFi actually worked most of the time too! 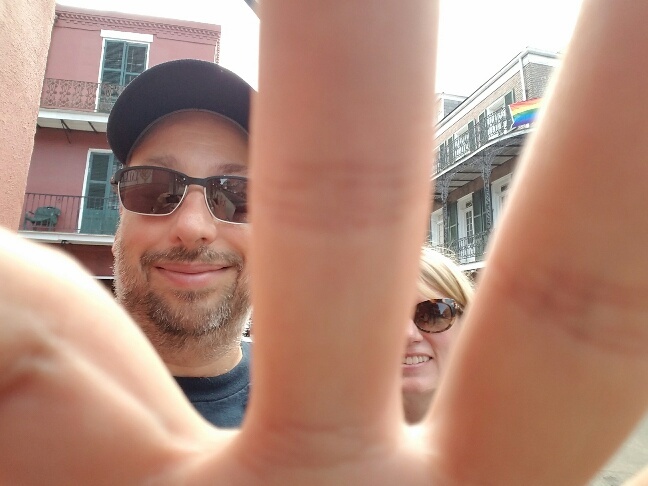 We wasted no time and headed for the French Quarter. It was our first experience into New Orleans traffic where a 10 mile trip can easily take 30 – 45 minutes (or longer). We parked along the Mississipi near Jackson Square and started walking around. Parking is pricey here too – $35/12 hours. 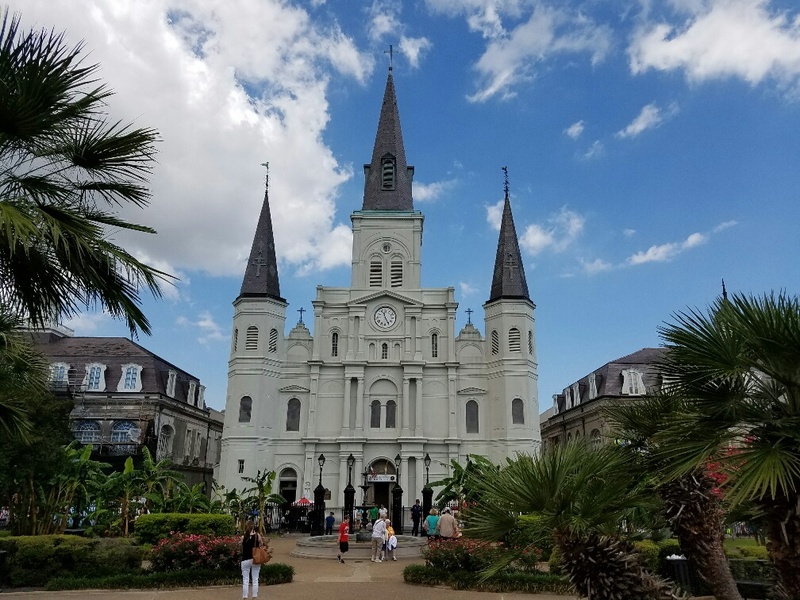 Jackson Square is not only very beautiful, its full of history. For example, it is where the Louisiana Purchase, which doubled the size of the USA, was finalized. 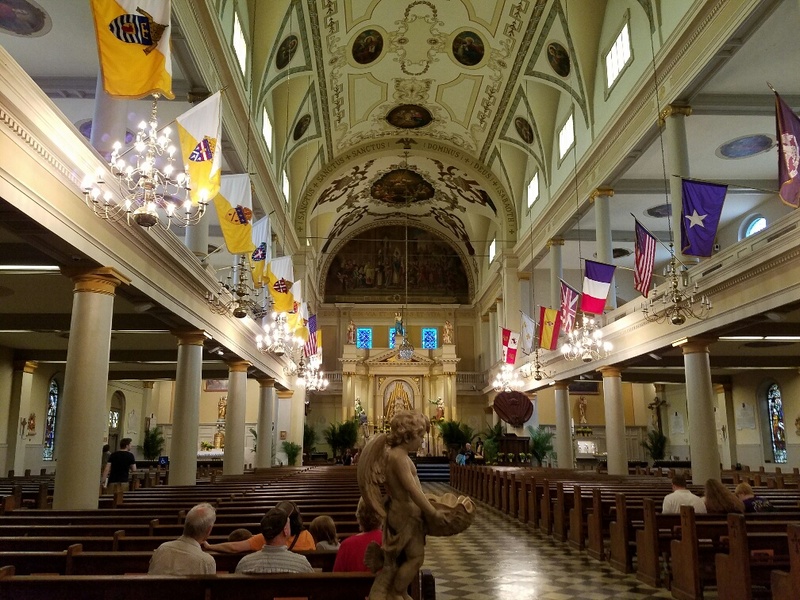 St. Louis cathedral is here on the north west side. The cathedral is open to the public and very impressive inside. It clearly has French and European influences but its not like other cathedrals we have seen across the pond. 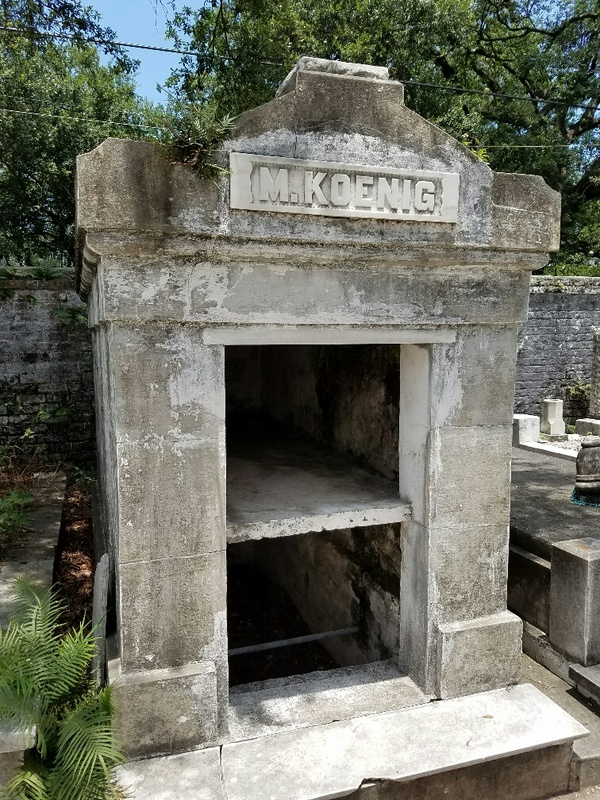 Of course, it being New Orleans, people carrying alcoholic drinks would walk right inside. 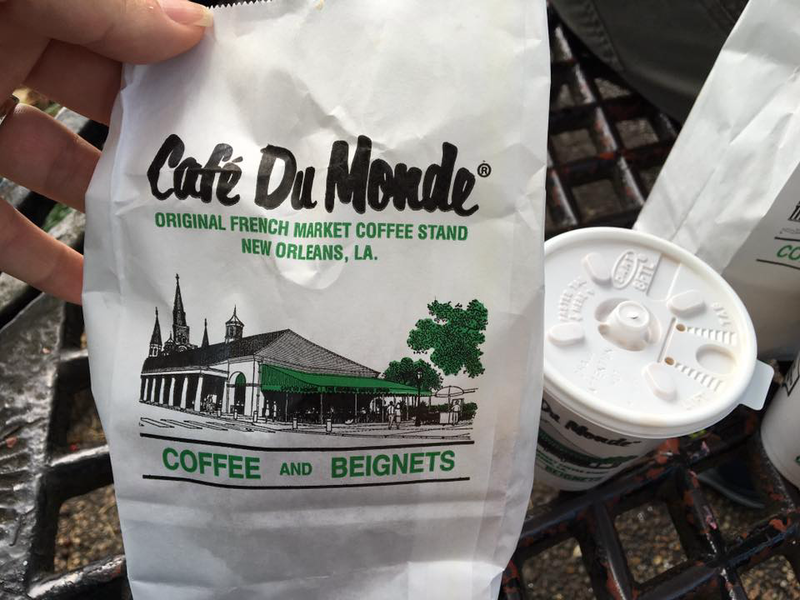 On the Decatur Street side is the famous Cafe du Monde, know for its chickory coffee and beignets. We obviously had to try both!! To me, the beignets tasted a bit like a funnel cake, complete with a diabeetus-inducing pile of powdered sugar on top. Tasty, but I didn’t feel the urge to eat them daily for the rest of our visit. We walked all over the Quarter enjoying the architecture and the vibe! Buildings here are a mix of French and Spanish and Carribean influence and they are very pleasing. Generally two and three stories with cast iron railings. 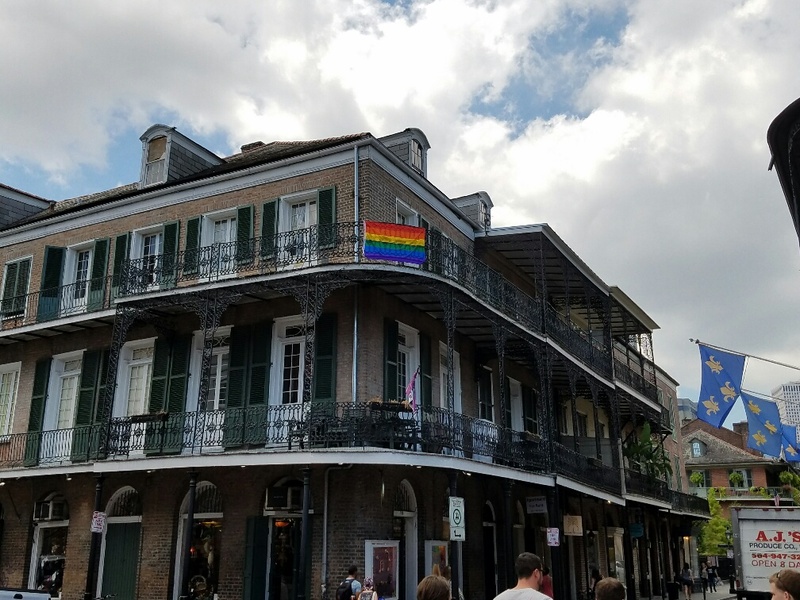 It would be hard to mistake the French Quarter for anywhere else in the world, and perhaps that’s why its identified as a World Heritage site. We decided to stop for lunch and were overwhelmed by the number of 4-star Yelp-rated restaurants just in walking distance! We chose the 801 Royal. I had an oyster and bacon po’boy and Heather had the house special pot roast po’boy. They came with sweet potato fries. Both were delicious!!! As we sat in a food coma, we noticed a very distinctive glass sculpture over the bar. Yep, an authentic Chihuly! Good food would continue to be a theme for us in New Orleans. We also found this cool place, and of course had to stop and check it out! If its my place why aren’t the drinks free? We decided to dive deep into the tourist angle and ride the double decker bus. Tickets are good for 3 days so we figured it would be useful transportation too. Word to the wise….the bus does not stop in the French Quarter. We had to walk to the edge to catch it. 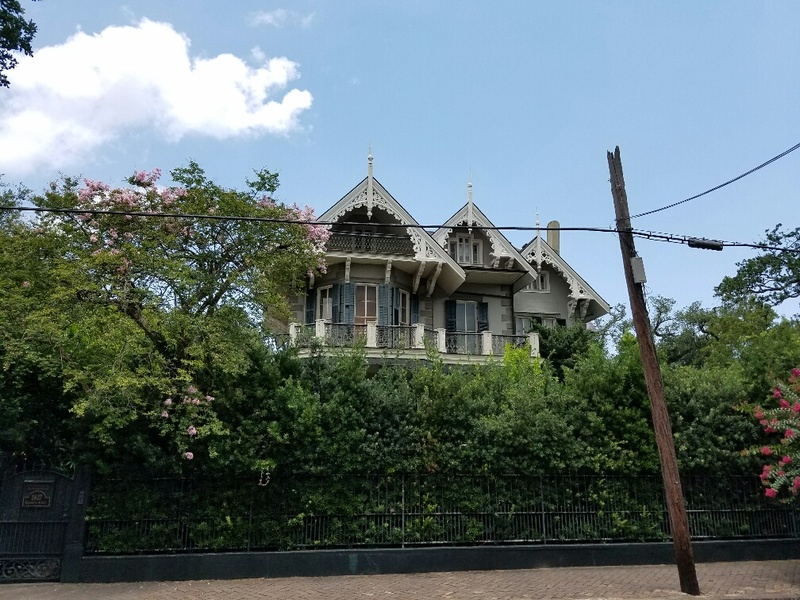 One of the stops was the Garden District, named because the founder – one of the first women real esteate developers – converted a chunk of her landholdings into plots she called “garden plots” and the name stuck. 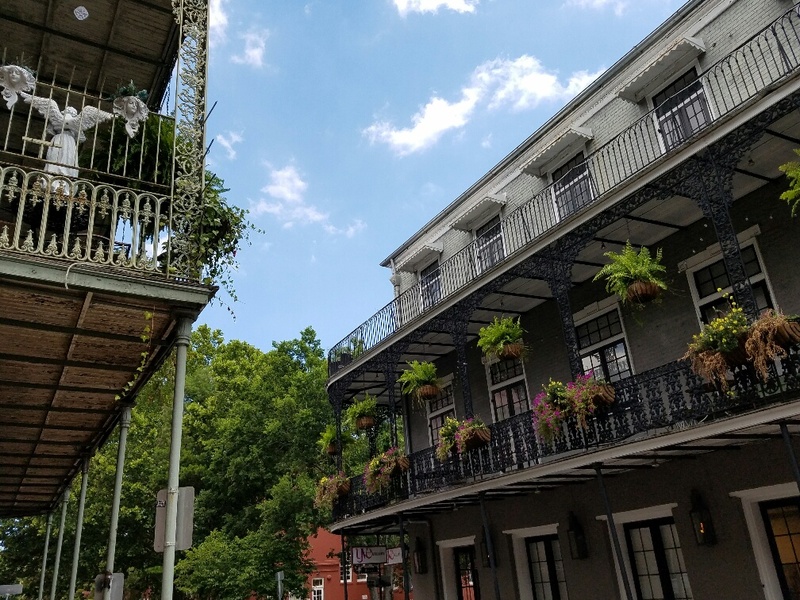 This part of the city, like the French Quarter, is above sea level and was not damaged during Hurricane Katrina. The area is well known and has many famous and notable properties. For example, this house was the house used in the Benjamin Button movie. Next door is one of Sandra Bullock’s houses. 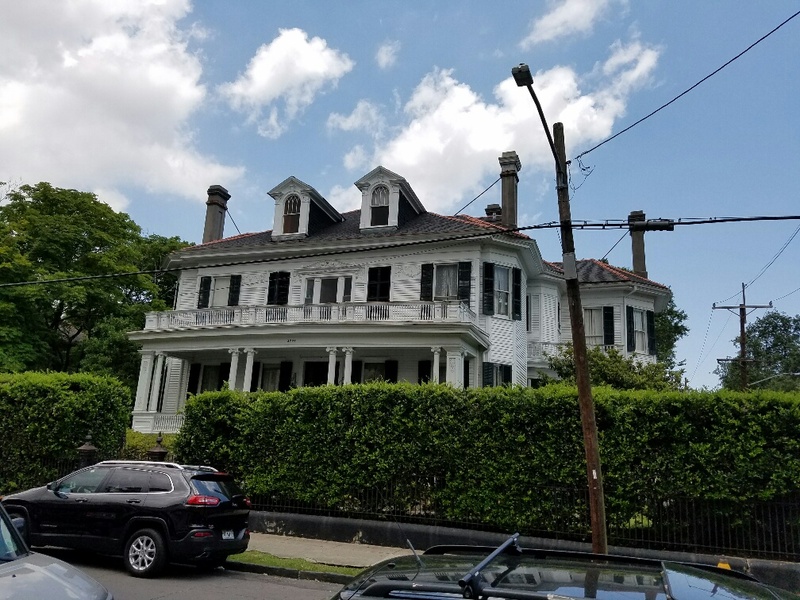 She purchased it for the bargain price of $2m after she adopted a child from New Orleans. It is a very ornate, if not over-the-top house. Leonardo de Caprio stayed here when filming a movie in the area and it has known a number of famous guests. 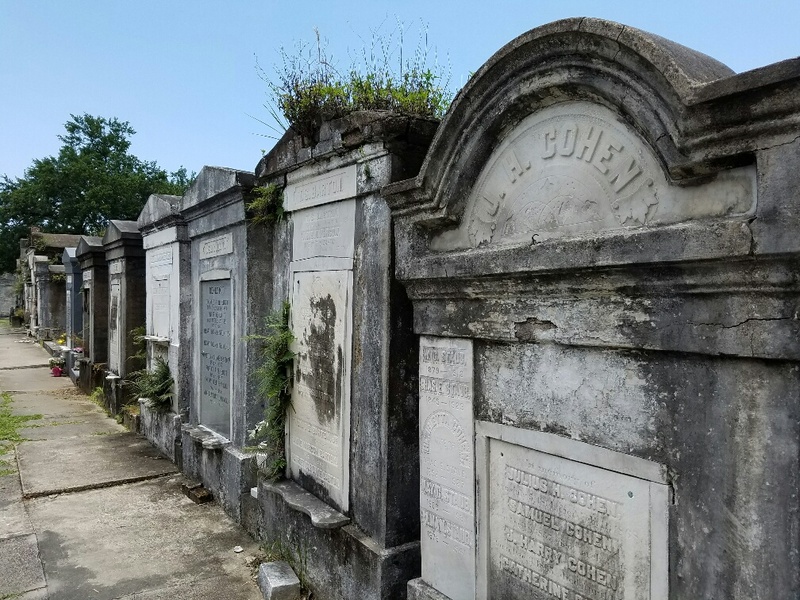 Nearby is the famous Lafayette Cemetery, used as the setting for various movies and books including those from Anne Rice’s famous Vampire Diaries. The vaults often house entire families, and have the space to do so because of their unique properties. Without going into the gory details, suffice it to say that they render bodies into dust in 12-18 months. Of course now the bodies are cremated at modern crematoriums, but the effect is the same. Sometimes they escape though, and it looks like the Koenig family did at some point! 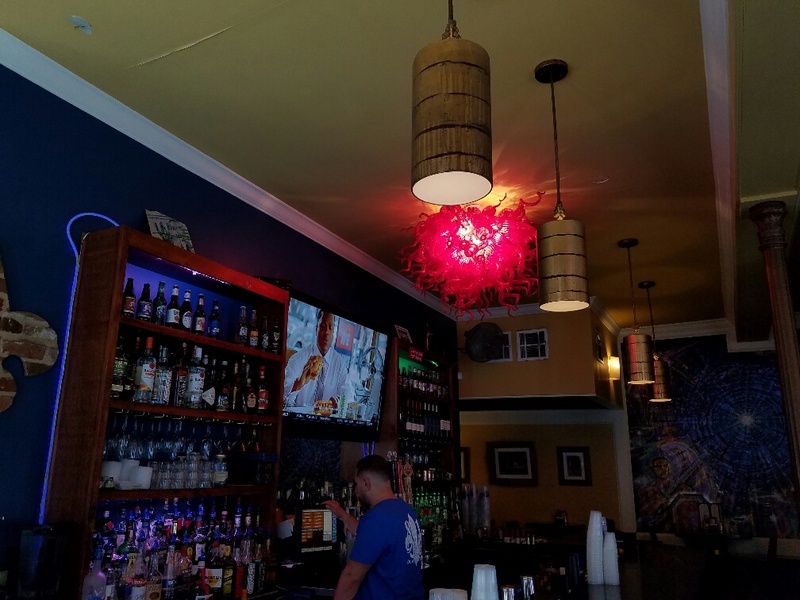 There are some great restaurants in the Garden District! 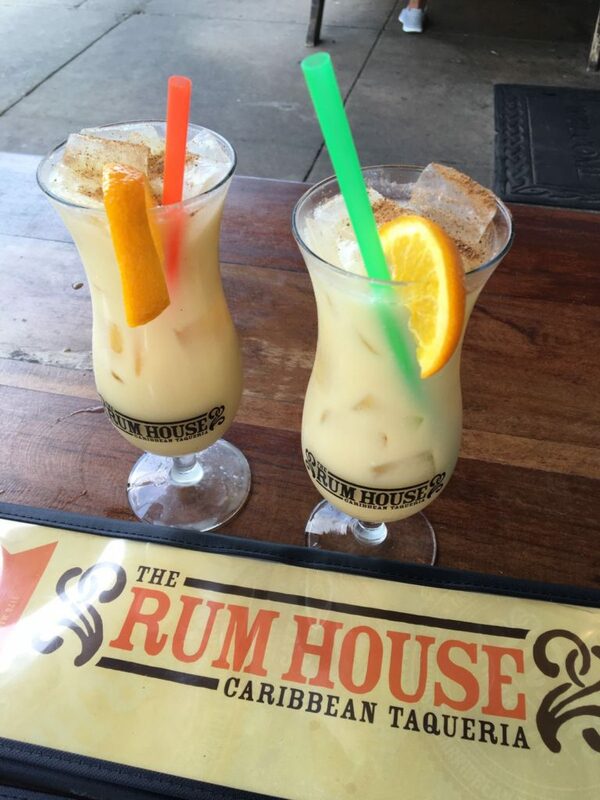 We chose the Rum House and sat down to have a lunch of Caribbean-themed tacos and rum drinks! The tacos were good too! They had 12 different varieties and we each chose 4. Not a bad taco on the plate! The fish and jalapeno cole slaw was my favorite. 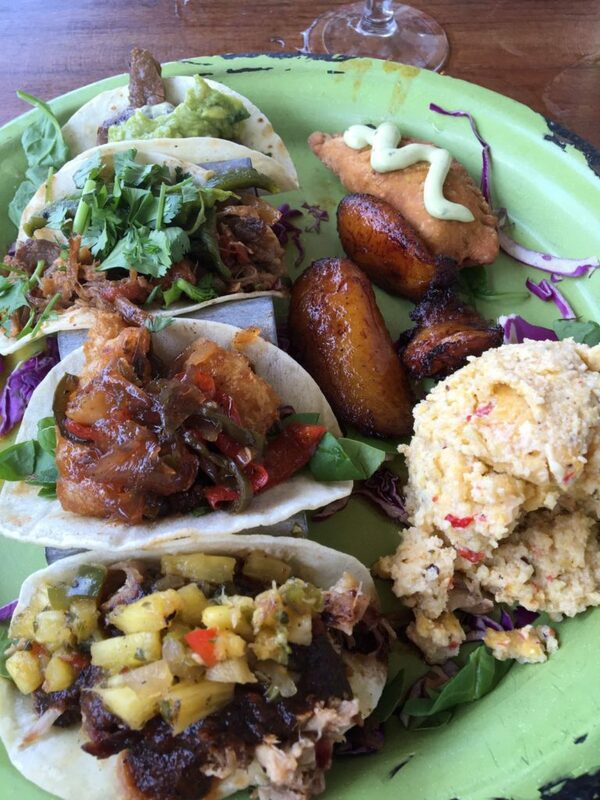 The tacos came with the best polenta I have ever eaten as a side dish! 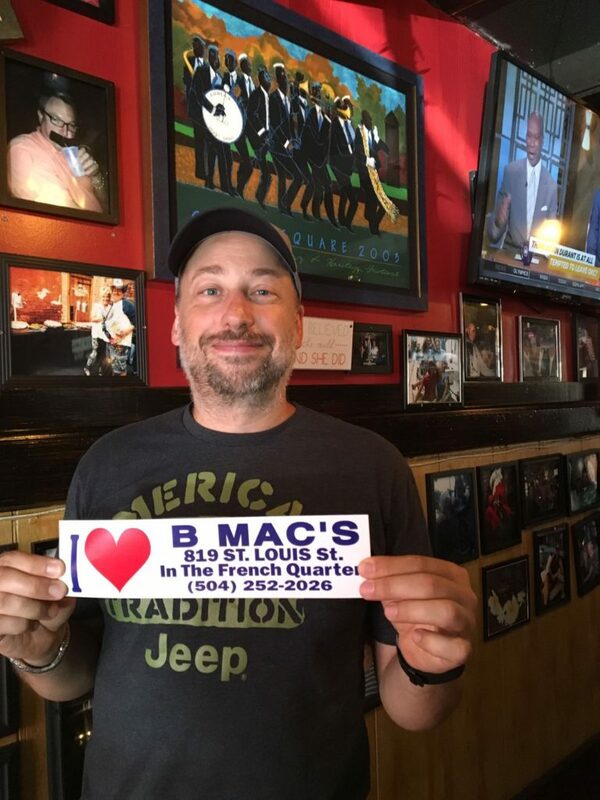 Once again, great food in New Orleans! Buildings here are interesting. They are all old, particulary by American standards. Most are at least 100-150 years old, and many date back further than that. 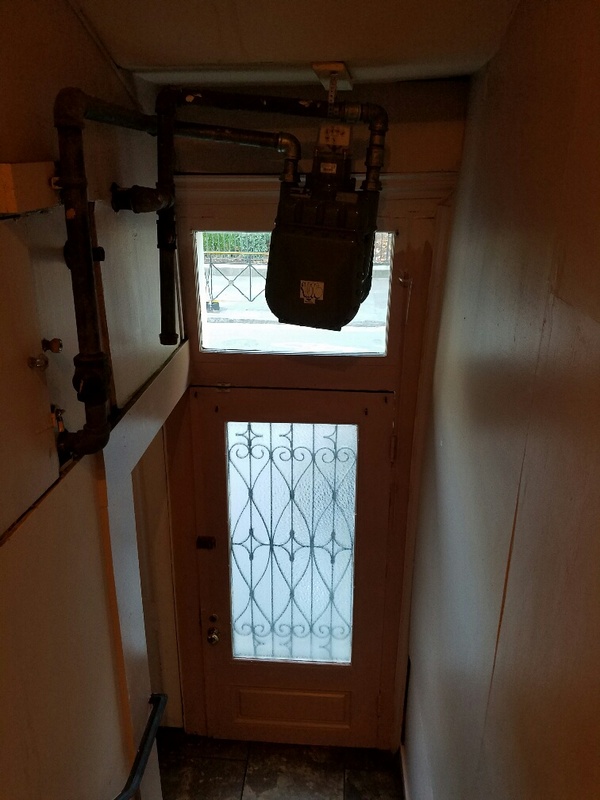 As a result, we saw some creative retrofitting of modern technology like this natural gas meter hanging precariously from the ceiling. On our last night in NoLa, we went down to the Royal House Oyster Bar and sat on the high gallery (balcony). The weather was perfect and we enjoyed both great people-watching and the music drifting up from the street. Once again, delicious food. We had 3 different kinds of oysters: grilled, Rockefeller, and Royal. I could have made dinner out of just the oysters! But, I didn’t. 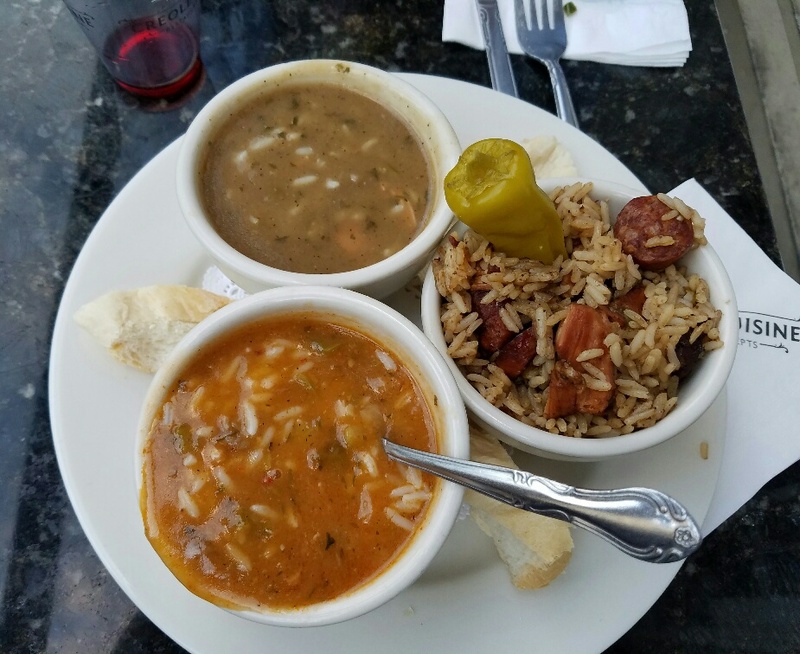 Instead, I had the taste of New Orleans combo – gumbo, shrimp etoufee, and jambalaya. All three were excellent but the etoufee took the price. Best I have ever tasted! Perfect way to end our last day in the Big Easy. Next Next post: Hello Sunshine State!